The William D. McDowell Observatory in DeKorte Park has an exciting month of programming in July. Free public access is from 9 to 10:30 on Monday and Wednesday nights this month — weather permitting, of course — including Wednesday, July 3. 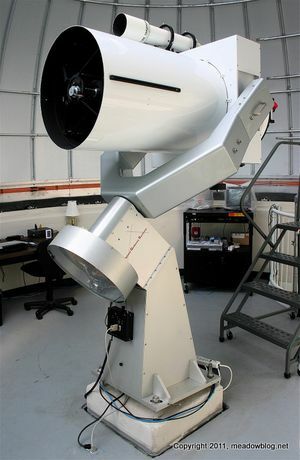 For a recent South Bergenite column by the NJMC’s Jim Wright about the observatory, click here. For more information about summer Observatory programming, click here. All sorts of trails have reopened at DeKorte, our flowers are blooming, and we are seeing Forster’s Terns and Black Skimmers and other nifty birds and dragonflies in the park. 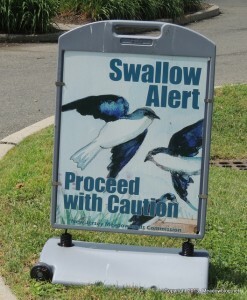 But the swallows are flying low over the roadways in the park, so please drive slow. 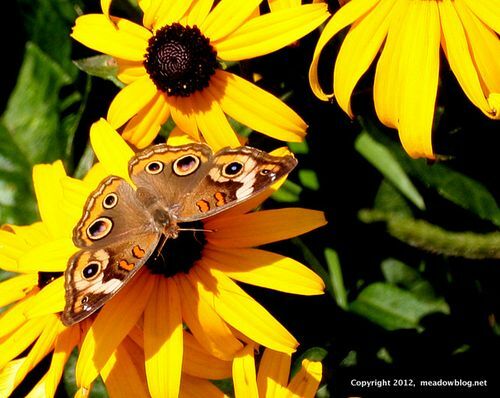 And don’t forget to wear sunscreen and bug spray, hydrate often, and visit our awesome gift shop in the Meadowlands Environment Center. 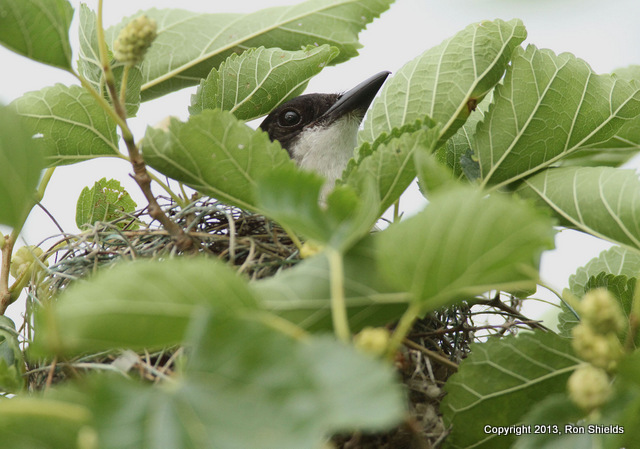 Here’s what’s causing all the fuss among the Eastern Kingbirds at the Lyndhurst Nature Reserve. DeKorte Park’s Teal Pool “Loop Trail” Is Open Again! 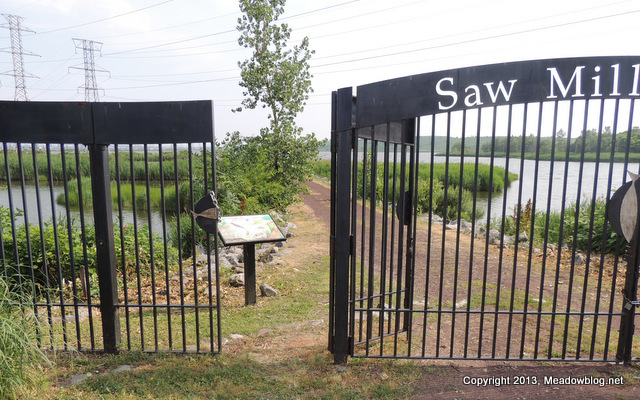 The Meadowlands Commission is pleased to announce that 1.25-mile loop trail from the administration building to the Saw Mill Creek Trail to the Carillon on Disposal Road and back to the administration building is now officially open again. The Lyndhurst Nature Reserve is also open again, and the Kingsland Overlook trail has been redone as well. “The Sopranos” have been part of Meadowlands lore since the opening credits of the first episode. 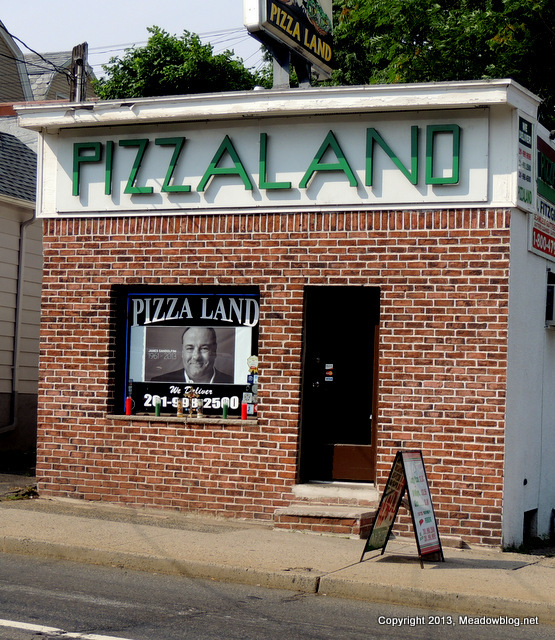 Here’s how this North Arlington Pizzeria looked this afternoon, on the day of James Gandolfini’s funeral, with several candles in the window under a photo of the actor. Owners still have not decided how to spell their restaurant, as one word or two. Jim Wright, who maintains this blog for the Meadowlands Commission, also writes a column for the South Bergenite on the second and fourth Thursdays of the month. 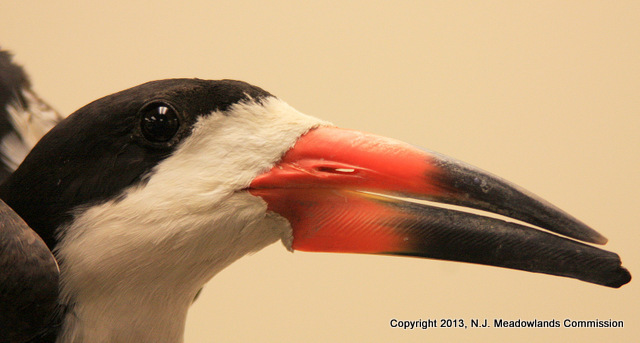 His latest is on this year’s bumper crop of Black Skimmers. 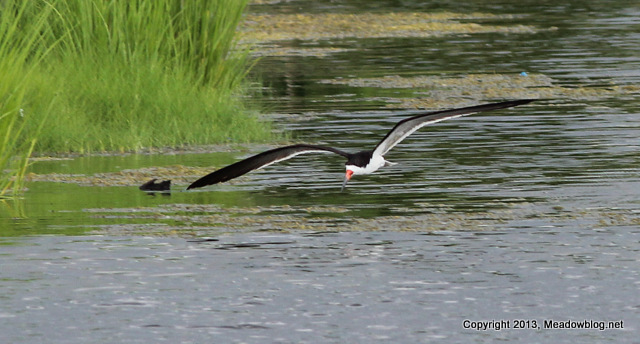 Now is the time of year to see an amazing bird called the black skimmer in the Meadowlands, and this is a year when they seem to be incredibly plentiful. 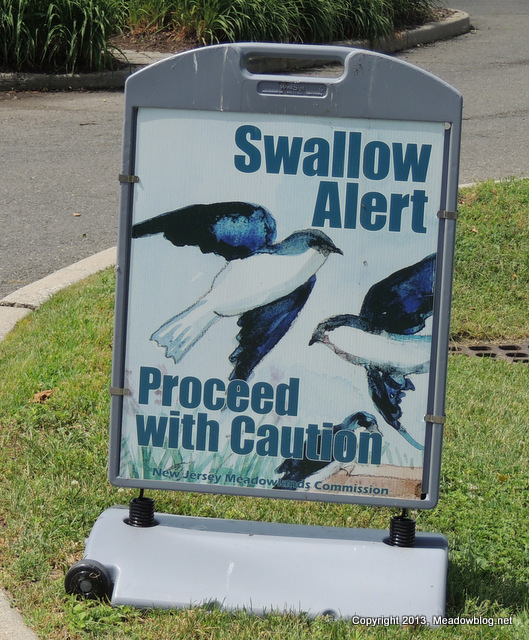 Considering that these large black-and-white shorebirds are an endangered species in New Jersey, the frequent sightings being reported across the Meadowlands are all the more impressive. Last week alone, these birds were seen fishing in DeKorte Park and the Clay Avenue Wetlands in Lyndhurst, in Mill Creek Marsh in Secaucus, and along the Hackensack River from Carlstadt to Kearny. 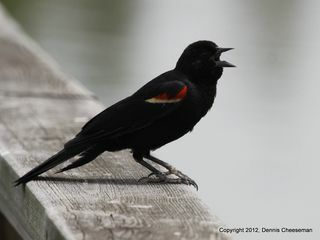 But these guys, with their bright red and black bills, don’t fish like most other avian anglers. Herons and egrets, for example, wade in the water and grab fish with their pointy bills. Belted kingfishers hover, then crash into the water to seize their prey. Ospreys hover as well, then dive into the water and grab the fish with their talons. Attached are a few shots from this week. 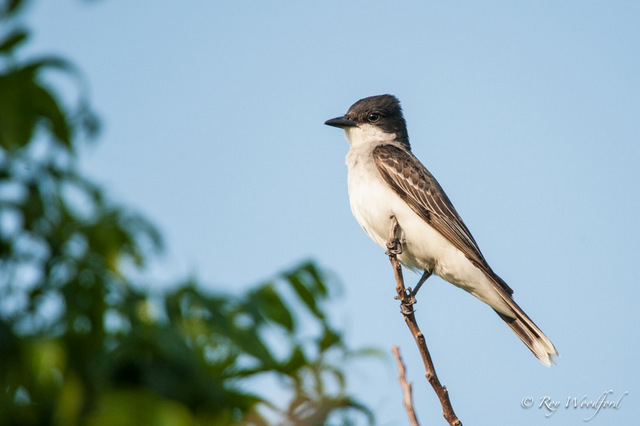 I found a pair of Eastern Kingbirds (one is pictured above) in the Lyndhurst Nature Reserve. They were very active and didn’t mind my presence at all. I only got a few shots though … they don’t sit still for long. The almost ubiquitous Killfawn of Disposal Road was found near the puddles behind the abandoned trailer. If you stay in your car, they’ll basically walk right up for a close up (I had to remove the teleconverter). The Indigo Bunting was found near the retention pond on Disposal Road. Please be advised, Hudson County Mosquito Control will be applying mosquito control larvicides by helicopter flying at low altitude over areas of Hudson County on Friday 6/28/13. Areas will include water areas of the Kearny Marsh near the Keegan Landfill , Mill Creek , Laurel Hill, 1-A Landfill, The front area of 1-E Landfill, Etc. In the event of inclement weather or other flight restrictions the flight will be rescheduled for the next available date. This was one tough Tuesday Teaser! 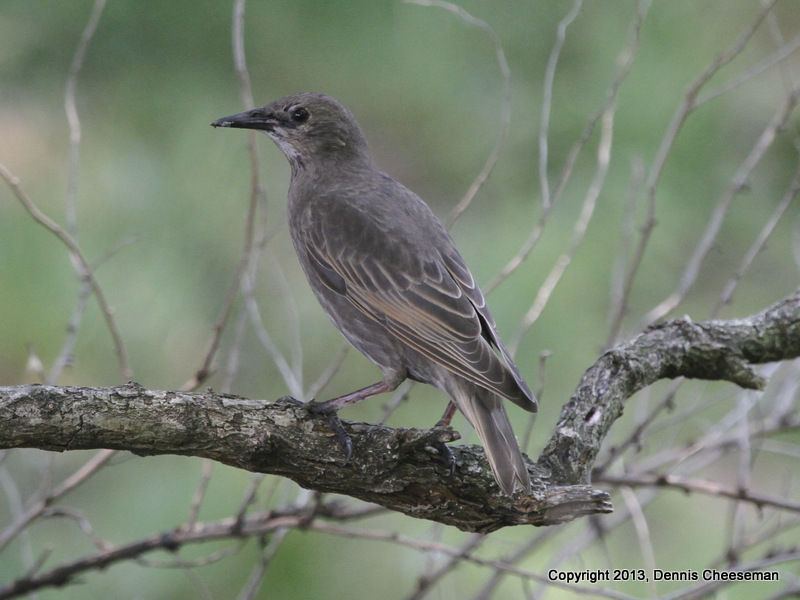 We had three different IDs — and we are going with young Starling, Clarisse… Congrats to Mike Turso for the right ID.